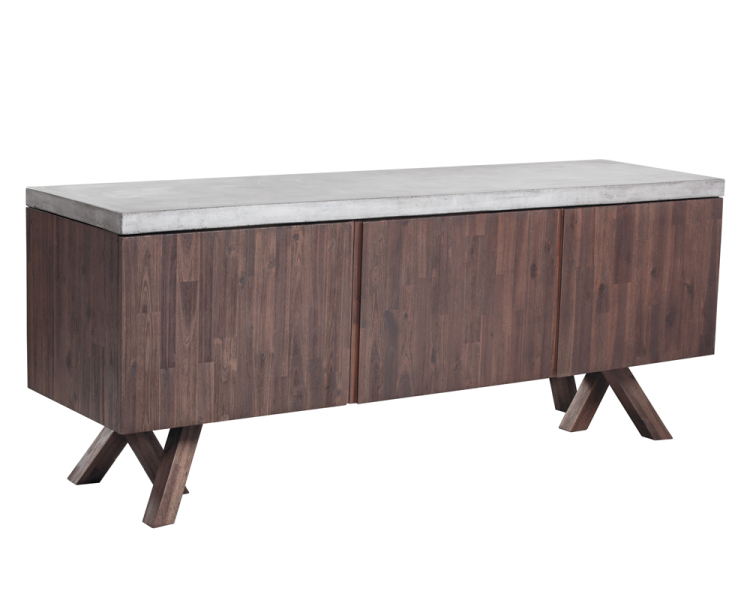 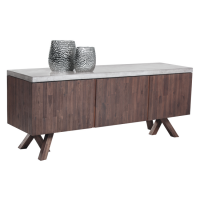 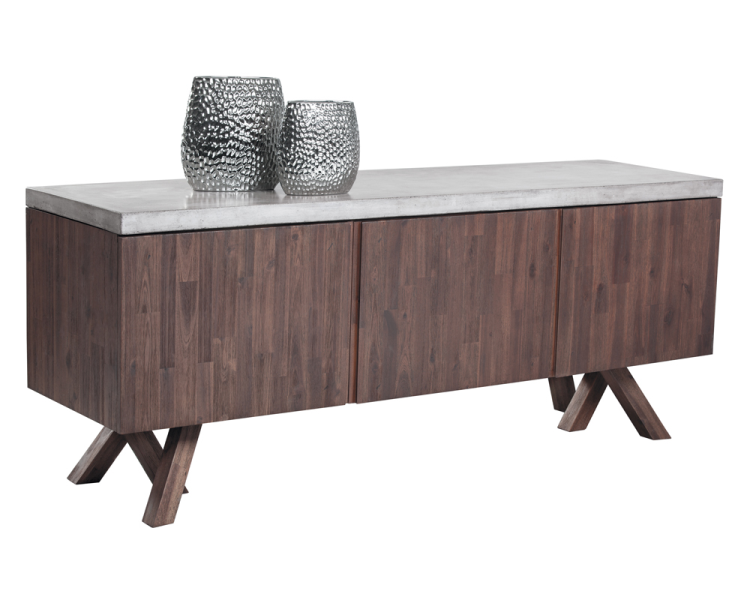 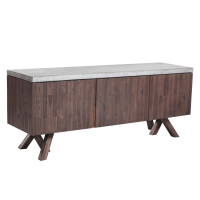 "This incredible sideboard features a thick concrete top and a contrasting frame made from acacia wood, providing the perfect balance of materials. Features ample storage with three interior drawers and two cabinets. Crafted from a natural concrete mix, e"